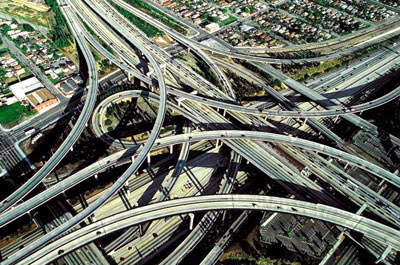 "They are called the "Malfunction Junctions", or "Spaghetti Intersections", and they are located in almost every major city in the West. You can find the streets that end nowhere, streets that allow traffic in both directions (without providing proper lanes), streets that change names more often than Cold War spies." Visit the site for an excellent collection of road crochet. I wonder how TomTom manages to navigate you through that one!